CMCS’ 30 years track record in providing project management control solutions for the engineering and construction industry has enabled us to go beyond just tools implementation but also to address the project control requirements. Our professional services team that are involved in PMWeb implementation are mostly engineers who have delivered project control systems on many projects in the MENA region. Today PMWeb is used by world leading organizations such as GE, Goldman Sachs, Harvard University, Hill International, CBRE, City of New York, European Investment Bank among many others. In the Middle East, PMWeb users include Kuwait Ministry of Public Works, Al Maabar, Dubai Parks and Resorts, Amanat Makkah, Sharjah Investment and Development Authority (Shurooq), Al Turath Engineering Consultant, L&T Hydrocarbon Engineering, Laing O’Rourke, ConsultantHSS, Al Nasr Contracting, Associated Constructions & Investments (ASCON), Al Ryum General Contracting, Vital Quadro Consultancy (VQC), Ali Moosa & Sons, Union Properties, Bin Shafar Contracting, Brookfield Multiplex Middle East among many others. PMWeb is a multi-project, multi-program solution designed to manage the complete project life cycle for any engineering and construction project. Stage Gates are used to enforce governance at important decision points during the project life where the organization will formally review the deliverables of each stage and decide if the project still meets the desired objectives or not and if they ready to proceed with the next stage. Deliverables approval and stage gate review forms are developed using PMWeb Custom Form Builder. The formal review steps for deliverables and stage gates are mapped into PMWeb highly configurable role-based visual Workflow which allows decision branches, approval authorization limits, delegation among many others. During this stage, PMWeb Initiatives is used to capture, assess and score all possible project investments. Cost Estimating allows bottom-up and top-down cost estimating as well as importing cost estimating for MS Excel and other cost estimating applications. Portfolio Planning is used to align initiatives with the organization’s capital plan. Using PMWeb Custom Form Builder and Workflow, the user can develop all project management processes Project Charter, Project Business Case Requirement and Project Evaluation and Scoring. PMWeb Schedule allows developing the project schedule as well as import schedules from Oracle Primavera P6 and MS Project. During this stage, PMWeb Pre-Qualification module allows designing the qualification questionnaire that consultants and contractors to help short-listing those companies to be invited to bid on the project using the Pre-Bid module. This information will be used to update the company directory in PMWeb to enable inviting only qualified contractors. The On-Line Bidding is used to capture all bid proposals for the tendered bid packages which will be analyzed using the Procurement module. Using the Custom Form Builder, PMWeb can be used to create the Technical Evaluation form which usually project owner will evaluate before assessing the commercial bid. The Commitment module will be used to capture the formal contracts award between the project owner and the contractor or consultant. All project communications during the design development and tender/award phases such as meeting minutes, correspondence, design reviews, drawings, transmittals, value engineering workshops meeting minutes, authorities approvals and permits, risk registers, issues management, weekly progress reports, public authorities approval, NOC’s, design deliverables approval among others will be captured using the Engineering Forms and Custom Form Builder along with Workflow to map the review and approval processes. All project documents including drawings, specifications and others will be stored in their original file format (DWG, PDF, XLS, WORD, etc.) using PMWeb Document Management repository which comes with a Viewer to allow reviews and redlining. Cost Estimating will be used to develop and maintain all versions of the project cost estimate as per the available level of detail. The Budget module will be used to develop and maintain project time-phased budget. The Budget Adjustment will be used to be used to document all budget changes and transfers. 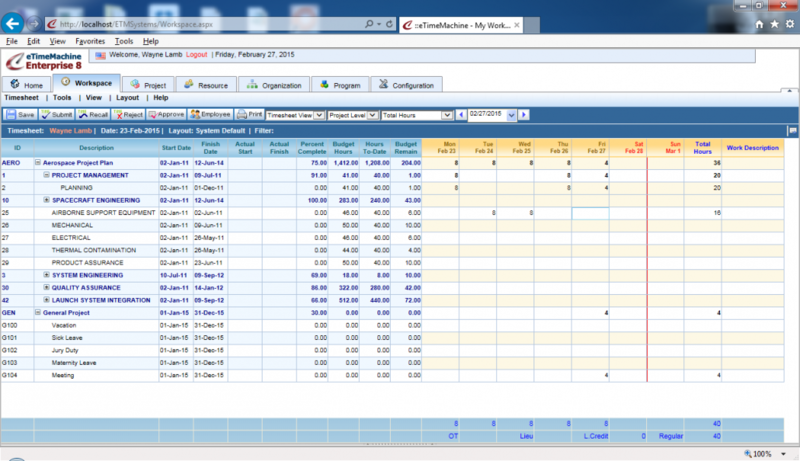 PMWeb Timesheets is used to capture the man-hours spent against the project activities. Those man-hours are used in the Progress Invoices to verify the actual percent complete due for the consultant. PMWeb also capturing Payments against approved Progress Invoices. Changes to the scope of any contract are captured in PMWeb using On-Line Changes, Change Events and Change Orders modules. During the Tender Construction phase, PMWeb Engineering Forms, Custom Form Builder, Workflow, Document Management, Cost Management will be used to manage all project management processes including Invitation to Tender, Non-Disclosure Agreements (NDA) Tender Documents, Tender Addendum, Bid Clarifications, Pre-Bid Meeting, Tender Bonds, Received Tenders from Bidders whether using PMWeb on-line bidding module or through regular tender submission, Tender Submission Log, Technical evaluation, Commercial evaluation and bids comparison, Appointing of Successful Bidder and Building permit. The post contract stage will address how to monitor and control the construction phase using the right processes for managing project records and ensuring that actions are taken without delaying project’s milestone dates. PMWeb Engineering Forms, Custom Form Builder, Workflow, Document Management, Cost Management will be used to manage Letter of Intent (LOI), Letter Of Award (LOA), Contractor’s Contract, Contract Documents, Baseline program and any monthly updates/recovery versions, Contract Addendums, Variation Orders, Bonds, Insurance and Bank guarantees, Payments applications, Site Inspection, Project Correspondence, Request for Information, Meeting Minutes, Daily Reports, Submittal and Transmittal, Safety plan, Safety and Accident Report, NOC’s and permits, Project Directory, Non-Compliance Report (NCR), As Built Drawings and O&M Manuals and catalogs, Testing & Commissioning and Snagging list. 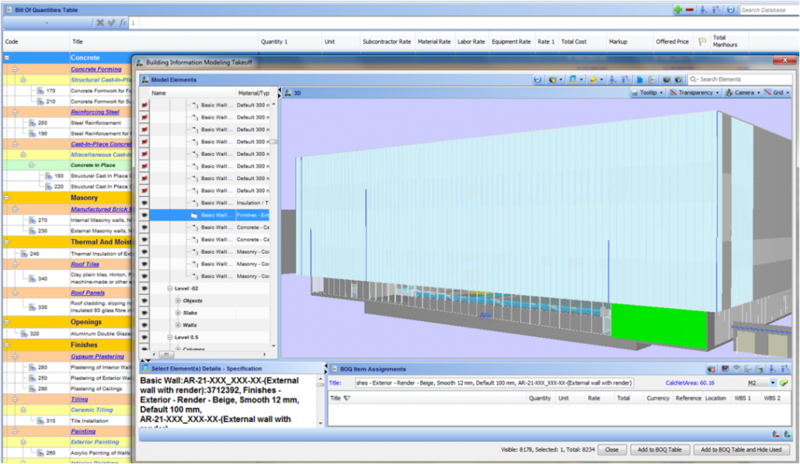 PMWeb BIM module will allow linking project’s records to Revit Building Information Modules (BIM) objects. PMWeb is used to manage the processes during the defects warranty phase including Taking-Over Certificate, Final Taking-Over Certificate, No Objection Certificates (NOC), Authorities Approvals and Permits, Warranties and Guarantees, Inventory and Spare Parts Handover, Project final accounts clearance and Transfer of Completed Facilities to project owner. 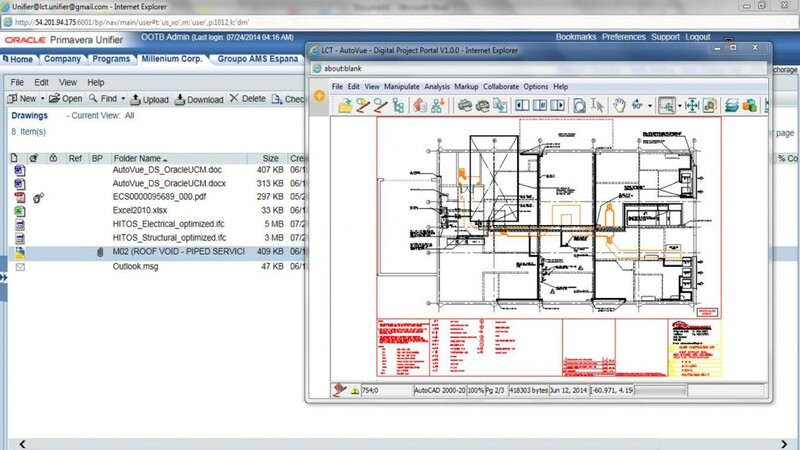 PMWeb COBie Manager and Document Management is used to formally document as built drawings and O&M Manuals. All those documents and manuals will be stored in their original electronic file format in PMWeb Document Management Repository. During the Asset Management stage, PMWeb Locations will help the client in capturing and maintaining log of all completed project facilities, assets and equipments. For each asset and equipment, PMWeb allows capturing the depreciation and operation cost, preventive maintenance requirement, GPS location, Bar Code among many other important information. PMWeb Maintenance Contracts and Lease Contracts support the award and management of those agreements. PMWeb Work Requests, Work Orders, Inventory and other modules will be used to support managing this stage of the project life cycle. 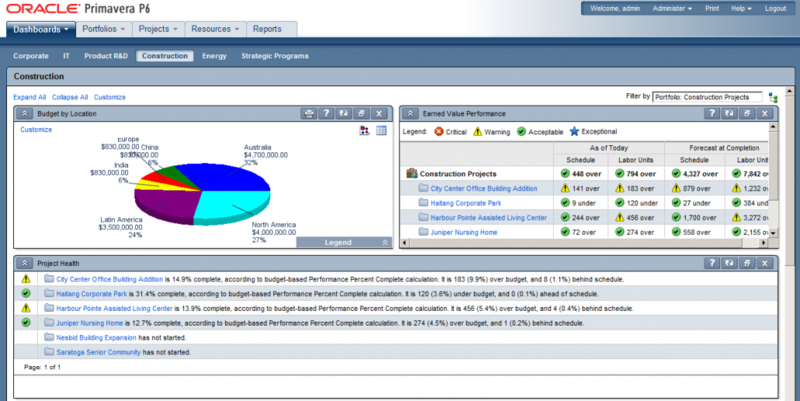 PMWeb enables sharing and visualizing a single version of truth of projects performance and health using highly-configurable built-in Business Intelligence Reporting tool. The project performance level an organization want to report on do vary depending on what they need from a project and what matters for them most. Some stakeholders might be interest in high level key performance indicators (KPI) that address project key objectives of schedule, budget, safety, contracts, risks among others. For others, the KPI should not be limited to only those objectives but should include other critical information such as documents, issues, changes, etc. Regardless of the stakeholders needs, they all should be reporting on the same project information and no one should be allowed to manipulate what information to present. CMCS’ relation with Oracle Primavera is unmatched. Since 1984, CMCS has received 52 awards for their performance and achievements including the first ever Primavera Four Million Dollar Club award back in 2008. CMCS, a Platinum Oracle Partner, is a specialized Oracle Primavera EPPM P6 8.2 and PCM 14 partner. CMCS has also achieved Oracle Specialization in Engineering & Construction, Oil & Gas Industries and Public Sector. CMCS was the first company ever to receive the Oracle University (OU) Award for Best Partner Performance Oracle Primavera FY2013. Our Oracle Primavera Practice extends beyond offering the complete Oracle Primavera solutions but also to include third party applications and solutions that are designed to increase the value of what you have already invested in. Those offerings include cost estimating, timesheets, trail audit, SAP and Oracle Integration, STO management, document management among others. Oracle Primavera EPPM P6 and Oracle Primavera Contract Management CMCS is an Oracle Partner and one of the few certified as Specialized Primavera P6 Enterprise Project Portfolio Management and Oracle Primavera Contract Management. This certification is limited to those organization who have shown credible evident and reference in implementing Oracle Primavera P6 Enterprise Project Portfolio Management and Oracle Primavera Contract Management software. CMCS’ EPPM P6 and PCM implementation include the following services: Discovery – helping clients understand what they need to get the most out of Oracle Primavera, Installation – getting the software installed with the right access rights and security levels, Implementation – getting the information that our clients want to have from Oracle Primavera to better manage and controls their projects, Training – teaching users on not only how to use Oracle Primavera but the project management knowledge needed to better understand how to make use of this information and Support – software and user support including staffing if needed. Other related services include application data migration and health check audit. Sprint Zero which consists of 2-3 day on-site workshops that are run by our experienced team to define management metrics, discover pain points and bring to light new opportunities. This offering is of great value for organizations that have not started implementing Unifier and need to document requirements and develop an implementation plan. Health Check that will address Technical Design to ensure that the solution design and configuration is streamlined in accordance with best practices, Usability to provide recommendations on how to improve the usage and usability of forms and business processes and Best Practices Database to inform and support the technical design and usability recommendations with usage and configuration statistics from our vast repertoire of Unifier implementations. Unlimited Support as all Unifier implementations requires support past their go-live date. Our Unlimited Support provides access to a Unifier expert and useful resources at anytime, anywhere. Our Unifier Solution Center ensures accuracy and consistency of your Unifier configuration, work flows and usage. Panoptra™ for Unifier which is an enhanced reporting and data visualization platform for Unifier, Panoptra™ for Unifier blows out the limitations of standard reporting techniques in Unifier and transforms big data analysis and visualization to reflect best practices for capital project management. Integration Adapters which are designed and configured to handle complex data transformations precisely to streamline critical business integrations between financial, facilities and project management systems is a time consuming and risky endeavor. Oracle Primavera Contract Management (PCM) Convertor is a fast, easy one-click migration tool that moves data between PCM and Primavera Unifier instances. Oracle Primavera and Cost Estimating Integration Using Nomitech CostOS. CMCS’ CostOS implementation include the following services: Discovery / Needs assessment – helping clients understand the Estimating Skills they need to improve their Estimating Competence and assessing the Pre-configuration of CostOS Estimating, Installation – getting the software installed with the right access rights and roles of users, Data Migration – Importing Historical Data from Past Estimates or Actual Projects into the CostOS Centralized Database, Implementation – setting up the layouts, cost models, access to commercial databases, and custom reports that our clients want to have from CostOS to better manage and control their Estimating Processes, Training – teaching users on not only how to use CostOS but also the cost estimating and assembly development knowledge needed to improve their Estimating Competency, Support – software and user support including staffing if needed. Other related services include Developing BIM models for Quantity Takeoff, Value Engineering and 5D within the CostOS platform, Consulting on developing “Interoperable BIM Models”, Developing Custom Assemblies/ Cost Models per clients needs, Training on the NoDoC Oil and Gas Knowledgebase and Localization, custom Integrations Assessment for further development by Nomitech and health check audit. Paperless Project Delivery for Oracle Primavera Contract Manager/ Unifier and SharePoint. We understand that Document Control is one of the core activities for every project and it is here where some of the greatest gains can be made with the application of simple add-ons, and our expertise that can save full-service providers of consulting, design, construction, and operations services companies’ significant costs on every project. We believe Paperless Project Delivery is about providing a platform that enables your organization/ project delivery teams to seamlessly flow information through business processes digitally and intelligently, removing the need for paper and the manual processing of documents internally and externally. Our solutions integrate with Oracle Primavera Products, SharePoint and Web Centre Content and can also be integrated to non-Oracle platforms. eTimeMachine Enterprise works hand-in-glove with Oracle’s Primavera EPPM to extend project management systems into the enterprise. 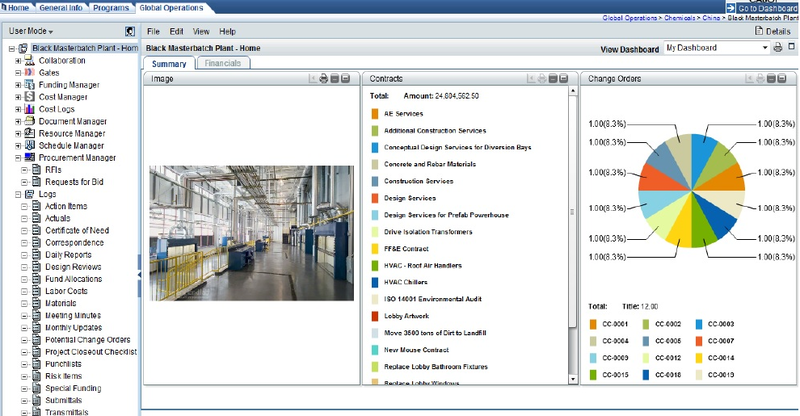 By integrating its leading-edge resource, timesheets and work management functionality with Oracle’s Primavera solutions, eTimeMachine Enterprise creates cohesive enterprise environments that allow companies to manage resources , costs and performance across all projects, corporate activities (project and non-project), and functional business lines. eTimeMachine collects Enterprise Project Structure, Project hierarchies, resources and resource assignments from Oracle Primavera EPPM and places resource assignments in employee’s workspace, allowing employees to update progress and to enter actual time, then submit it for approval. Once approved it sends approved data back to Oracle Primavera EPPM. eTimeMachine is highly configurable and integrates with Oracle Primavera EPPM, ERP, Help Desk, MS Project and other systems in the enterprise. Audit Trail for Oracle Primavera EPPM is a highly configurable monitoring tool that allows companies to track changes on specified business objects in Oracle Primavera EPPM with the required level of details. Organizations that rely on Oracle Primavera EPPM for their Project Management needs can continue to utilize full functionality of Oracle Primavera EPPM while fulfilling the requirement of the information to be completely trustworthy by adding benefits of a transactional and a fully auditable system. Audit Trail adds a new layer to your organizations’ project information by introducing a “Critical Changes” concept; it provides you with an advanced engine to define those elements within Oracle Primavera schedules that are the most critical from a change perspective. Monitoring Critical Changes enables you to focus on what are the most important requirements for your organization letting you effectively utilize resources and allowing to execute timely management decisions. Audit Trail provides an indispensable source of data for a quickly growing number of business applications including, but not limited to Project Health Check, Critical Changes Monitoring, Regulatory and Business Compliance, Claims Prevention and Claims Resolution, License Use Monitoring, Business Intelligence Support, Risk Analysis Support, Knowledge Base and Best Practices Repository Support. As the leader in Oracle Technology training, Oracle University offers extensive training to build the client’s knowledge with a unique curriculum created by the same developers who designed the technology itself. Very few organizations across the globe, if any, have had CMCS experience in offering training on Oracle Primavera solutions. Our team has been working with Primavera products since 1984 supporting more than 3,000 clients who represent the leaders in their industry. CMCS, Oracle University’s Approved Education Provider, was the first company ever to receive the Oracle University (OU) Award for Best Partner Performance Oracle Primavera FY2013. With the complexities inherent in today’s projects, teams still struggle to deliver projects successfully under the triple constraint of cost, time and scope. The fact is, without a sound schedule basis, projects fall victim to working a faulty plan guiding them toward an unsuccessful outcome. A sound schedule is the key to a successful project. Deltek offers solutions for creating the soundest schedules possible for consistent execution success as well as solutions to proactively reduce project risk exposure and maximize completion confidence. Regardless if you are using Oracle Primavera P6, Deltek Open Plan, MS Project, Asta PowerProject or any other schedule tool, Deltek Acumen has the solution. Deltek Acumen Fuse provides diagnostics and analytics to identify and correct common scheduling pitfalls and Deltek Acumen 360 offers options for schedule acceleration or getting a delayed project back on track. Through powerful, straightforward cost/schedule risk analytics, Deltek Risk offers the ability to track, identify and prepare for potential risks – before they impact the project. Maximize project reliability with the combined power of a robust CPM scheduling tool and the best of class schedule analytics found in Deltek Schedule. Combine Deltek Schedule with Deltek’s Cost and Risk solutions for end-to-end program and project success. Check key schedule characteristics including logic, float, activity sequencing, appropriate level of detail, cost, risk and Earned Value all in a single diagnostics package. 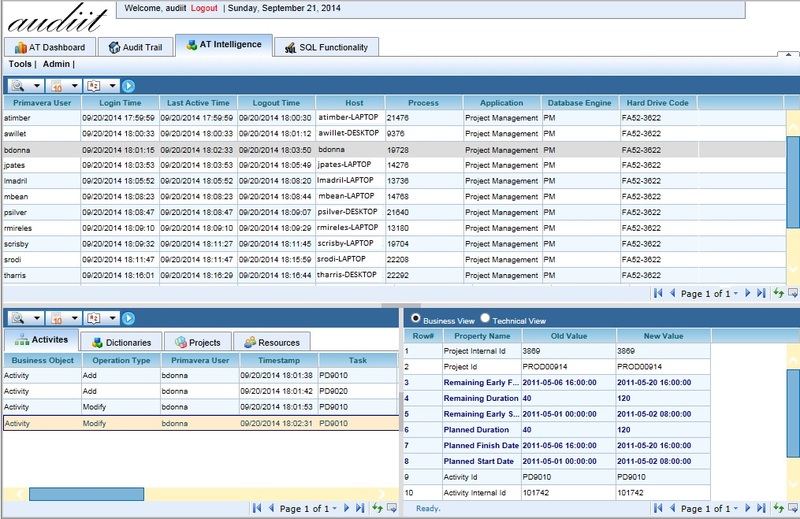 Analyze single or multiple projects and programs together and even compare changes over time. Summarize your detailed analysis using the Fuse Schedule Index™ – a single schedule quality indicator giving you the means of both scoring the quality of your project as well as comparing it with industry benchmarks for a more comprehensive level of project analysis. Fuse reporting is designed to be hierarchical so that it accommodates planners, schedulers and executive’s needs. You can drill down, slicing and dicing through multiple levels (e.g., Work Breakdown) or by any other code or user field to quickly pinpoint potential issues with your schedule. Conversely, summarize detailed results and publish to project dashboards, executive briefings and PowerPoint presentations, all at the click of a button. You can’t fix what you can’t see. Acumen Fuse helps you see it all so you can develop and execute the soundest schedules possible with consistent success. Deltek Acumen Risk – Cost and Schedule Risk Analysis tools don’t have to be complicated in order for them to provide true and accurate risk forecasts. Deltek offers Deltek Acumen Risk, a full-featured, easy-to-use cost and schedule risk analysis tool. Acumen Risk is a Monte Carlo risk analysis tool combining true cost and schedule risk analysis against a native project plan together with identified risk events from a project risk register. Accurately capturing risk scores and uncertainty ranges is arguably the weakest link in the road to accurate risk exposure forecasting. This challenge has been overcome using Acumen Risk’s Uncertainty Factor approach: a simple-to-use sliding scale that project teams can actually relate to. No more painful risk workshops trying to identify cost and schedule risk using complex, out-of-context statistical terminology. Combine this with the flexibility of the Acumen Risk risk register, capturing both current state and your targeted mitigated state, enabling you to analyze the cost-benefit of executing your planned mitigation steps. In short: determine the most cost and schedule effective risk response plans. Cost risk exposure doesn’t occur in isolation of schedule risk. Acumen Risk provides you an easy means of linking schedule risk to cost risk so that you can determine the impact of schedule delays on your project cost estimate. Deltek Acumen 360 – The only schedule acceleration and decision support solution for creating scenarios for faster project completion or recovery of project slips and delays. Demands for faster, cheaper project completion are forever present. However, the task of accelerating a schedule to meet owner or contractually driven requirements is extremely difficult and time consuming. Deltek Acumen 360 helps make this acceleration a reality. Acumen 360 gives you the ability to accelerate time frames effortlessly in seconds. Define your goal (e.g. accelerate my project by 30 days); and let Acumen 360 automatically generate alternate scenarios to achieve that goal. Or, for more manual control, use the interactive Acumen 360 acceleration sliders to specify which activities get targeted for scenario generation. Once Acumen 360 has generated multiple scenarios that achieve your goal, you can view the changes and make informed decisions as to which scenario makes the most economic sense. Then publish the updated schedule directly back to your preferred scheduling tool of choice. But accelerating a planned project isn’t all Acumen 360 can do. It can also be used to get a delayed project back on track. Either way, it gives you more power and control over your schedule for the demands you face every day. What used to take a professional weeks of manual schedule manipulation now takes only minutes with Acumen 360; accelerated and defendable schedules at your fingertips. Mirage Leisure & Development Inc. It is our mission to modernize industrial asset management, and by adopting IAMTech’s products both oil & gas operators and service providers can counter the continuing market conditions driven by the soft oil price. Our goals are closely aligned with those of responsive leaders from other industries, such as aviation, where we aim to enrich our products with our learning, improving safety and knowledge share for all of our customers and in turn raising the standard of the oil and gas industry! Counter the recent risk increase caused by head count reduction by enabling supervisors to spend more time on site managing their personnel, increasing safety & productivity through improved situational awareness. Enable increased efficiency, knowledge retention and increased margins as a basis to counter the margin squeeze from the softening oil price. Routine maintenance budgets should not spiral and Shutdowns, Turnarounds and Outages (STO) can be delivered on time, preventing hits to earnings caused by plant downtime. Enable risk reduction and insurance premium reduction, helping readdress the risk scale imbalance caused by rapid head count reduction over the last 12 months. IAMTech’s products have been painstakingly refined through years of listening to our customer requirements to tackle industry-wide problems, for companies including Air Products, BP Chemicals, BP Exploration, Certas Energy, Chemoxy, Hertel, Huntsman, ICI, Ineos, Interserve, Jupiter Insurance, Kaefer, NesteOil, Oiltanking, Perenco, Petronas and Sembcorp. Combining this first hand industry experience with our ever-growing partnerships with world-leading industrial organisations enables CMCS and IAMTech to understand the technology needs of oil, gas and chemical industry. Imagine being able to walk through a design and experience its circulation, evaluate special qualities and proposed materials. And imagine doing that with highest level of realism like in the best quality V ray rendered image – Real Time Walkthrough is application that allows you exactly that. Representation of your design is only a small fraction of effort that you must undertake to design a building and often rendering images are only tool. Virtual Walkthrough goes far above that, experiencing architecture is never static (3D images) it always goes through time which is why it is important to have lifelike animated presentations. How Does it Enhance the Decision Making Process? Clients have difficulties to understand drawings and even rendered images are not good enough. That problem multiplies on large scale and sophisticated projects. The best way for client and architect to be confident about every design decision that they take is to actually have ability to virtually experience design. You will be able to see consequences of every design decision that you take in a computer generated virtual mockup. What are the Benefits of Using Virtual Walkthrough? Virtual Walk Through is a highly personal service that takes communication with client to a much higher level and establishes trust. It also brings acknowledgment from client side for providing exceptional service. Main effort of engineering and consultancy services is unfortunately not very tangible and hence often not appreciated enough. On the other hand, service that we offer is highly personally oriented and includes improved interaction with the client. Virtual Walk‐Through offers unique ability to easily change materials, open door, turn on/off TV, move elevator or escalator stairs….and many other interaction options that brings lifelike experience and improves level of realism. It is important to distinguish this service from usual Architectural Animations, we go far above that. For all users (Clients and Architects) there is no training or software installation required. You just need to open application with double‐click and navigate through similar like in video games. There is a huge potential for applying this technology for marketing and project promotion purposes; Developers and Real estate companies can use to sell their apartments, hospitality industry for presenting hotel projects to tour‐operator, also for private villas, hospital functionality application and many other. Once a model is completed it can be easily shared with all the parties involved in project no licensing is required. All parties: Client, Architect, Lead Consultant, Lighting Consultant, Project Manager, Contractors, Authorities….etc. can have their copy of updated model which will facilitate team coordination. In construction stage it is essential that the Contractor understands Client/Engineer design intentions. It is possible to prepare Final Walkthrough Model as an integral part of tender documents. This will guarantee successful execution of work especially for Fit‐Out Projects.